The Counselor stars Javier Bardem and Michael Fassbender. The film is the latest from Cormac McCarthy and Ridley Scott. 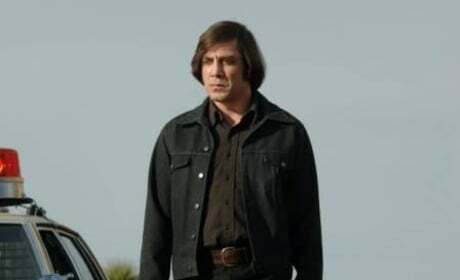 Javier Bardem in No Country for Old Men. Bardem won an Oscar for his role in the Coen Brothers movie. 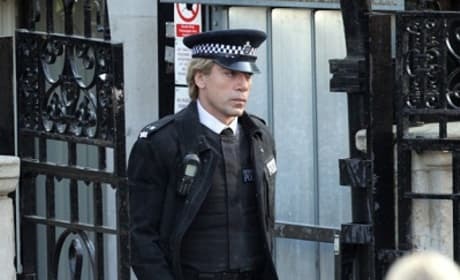 Javier Bardem in costume on the set of Skyfall. 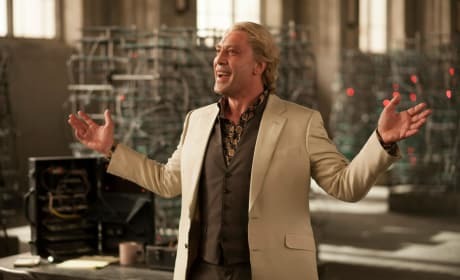 Bardem is the latest actor to take the title of Bond villain. 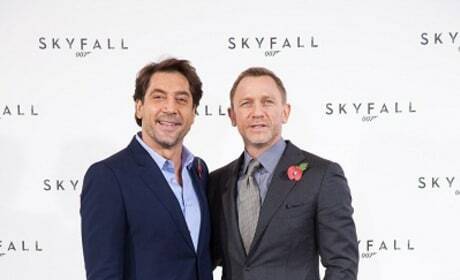 Javier Bardem and Daniel Craig at the Skyfall photocall. 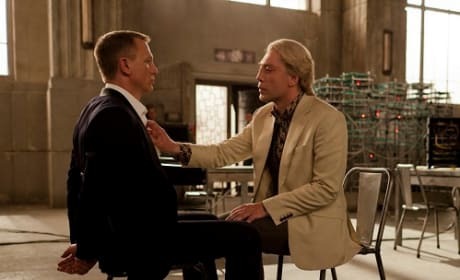 The villain and James Bond are filming currently in London. 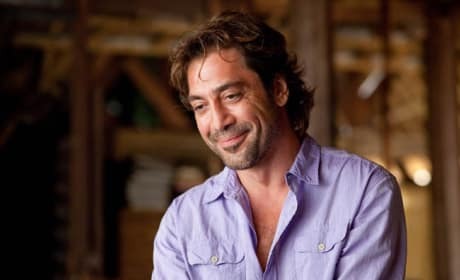 Javier Bardem stars as Felipe in Eat, Pray, Love. Javier Bardem and Julia Roberts share a happy moment on the set of Eat, Pray, Love. 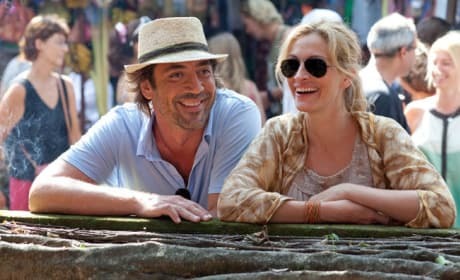 Julia Roberts and Javier Bardem take a stroll in Eat, Pray, Love. 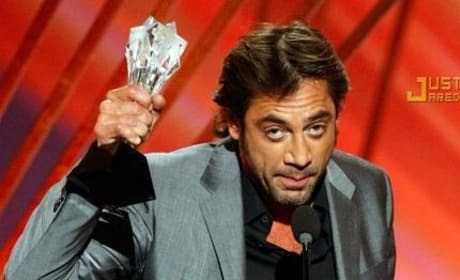 Javier Bardem accepts the Best Supporting Actor Award at the Critics' Choice Awards. He earned it in No Country for Old Men. 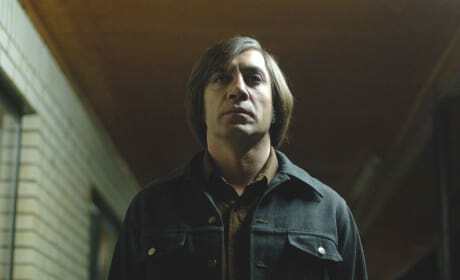 Not only did No Country for Old Men win Best Picture, but Javier Bardem took home an Oscar for his portrayal of Anton Chigurh, seen here. How could he not have? 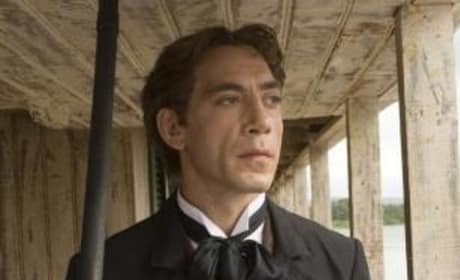 Javier Bardem stars in Love in the Time of Cholera. The actor is receiving Oscar buzz. Javier Bardem is getting rave reviews for his role in No Country for Old Men. Expect to hear a lot more from this actor in the future, as he's pretty much guaranteed to win an Academy Award for the performance. Is also dating Penelope Cruz.